Reed's Sprayfoam Insulation is Kentucky, West Virginia and Ohio's specialist for spray foam and injection insulation services. Ever since we opened our doors in 2000, we have been installing top-tier install insulation for attics, basements and crawl spaces. Additionally, if your roof is in rough shape, we can install roof coatings to help protect and waterproof it. No matter your reason for installing new insulation, we have the products and expertise necessary to exceed your expectations. Our goal for our customers and ourselves is simple: Conserve energy. Protect the environment. And reap the benefits! Sealing air leaks can improve your home's comfort, air quality and energy efficiency. Our attic insulation options can make a difference in your home's comfort. Create a comfortable and useful living space in your basement. Roof coating offers a cheaper and environmentally responsible alternative to roof replacement. 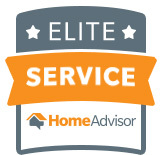 By Tom And Barbara T.
"You did our attic with the spray foam and we immediately..."
With so many alternative options available, there is simply no reason to suffer from discomfort and expensive energy bills in your home. Upgrading your insulation is an investment that will pay for itself in energy savings and improved comfort. Reed's Sprayfoam Insulation specialists work hard to provide these benefits to our customers, because everyone deserves to live in a healthier, happier home. 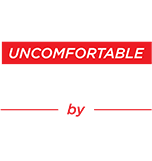 Homeowners throughout Kentucky, West Virginia and Ohio have chosen us for their insulation needs and have not been disappointed. See what our customers have to say - and discover how our spray foam and injection foam insulation can benefit you! Local residents work with us because of our reputation and our resources. As a partner of the Dr. Energy Saver dealer network, our technicians are fully trained in industry-best practices when it comes to inspecting insulation, upgrading insulation in an existing structure, and installing insulation in a new home or business. And because we are a family business, we take our customers' needs seriously, and we value our interactions with you. 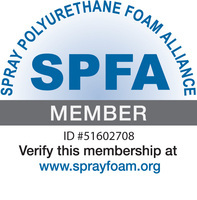 We are always available to discuss any questions you might have about your spray foam insulation project!